The project itself was a unique self-build job in the picturesque village of Icomb, Gloucestershire. 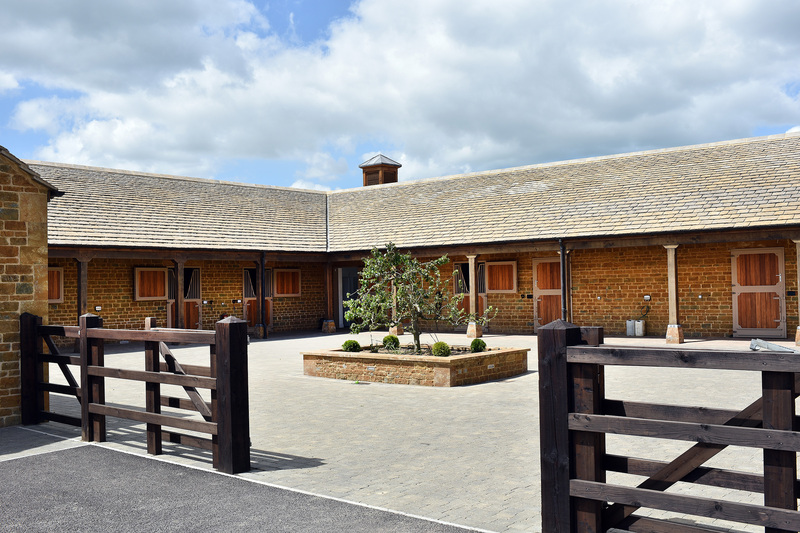 With a number of buildings on site, the tiling was applied to the main house, multiple barns and a horse-stable block. 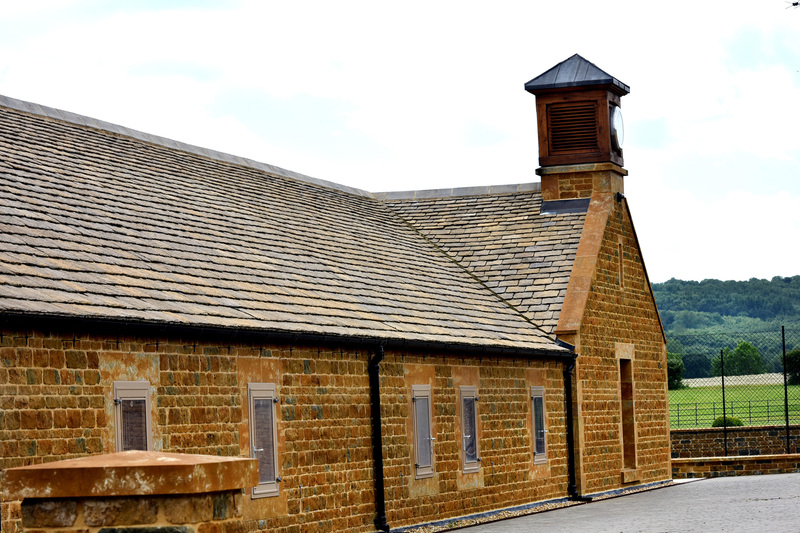 To meet the client’s specific requirement for the project, Aggregate Industries created a completely bespoke product by combining the profile of the company’s existing Bradstone Cotswold tile range – which are highly detailed roof slates resembling indigenous Cotswold slates – with the colour of their Bradstone Conservation tile. The carefully planned manufacturing process involved working alongside existing production lines, where the Cotswold tile moulds were filled with Conservation colour mix, resulting in the required volume of Cotswold-Conservation product. Aggregate Industries also provided over 2000m2 of Masterlite Pro, and nearly 4300m2 of Masterdenz concrete blocks, including a large quantity of cut angled blocks for window and door reveals, driven by the nature of the building design. The complete tiling and block product solution was supplied from Aggregate Industries’ large-scale manufacturing facility in nearby North End, Swindon. This meant a delivery schedule, crafted around the contractor’s timetable, was created and worked to for the duration of the project. Supplying a total of nearly 9000m2 of product, through 77 deliveries across a five month period, the successful completion of the project has led to a number of further contracts of this nature in the area, including one with the same developer. Aggregate Industries’ Cotswold roofing tiles are available in a range of sizes, to be laid to a traditional diminishing course. They are a highly acceptable reconstructed stone alternative to natural stone slates. They are supplied in a full, but rationalised range of diminishing lengths, and random widths, for an authentic appearance. Thanks to the ease of laying and availability, customers can benefit from a reduction in time and costs often associated with second-hand material.